Many recently-separated couples look for ways to resolve separation issues and save the time and expense of consulting a lawyer. However using an online template separation agreement or a do-it-yourself kit, can significantly increase costs and take years to resolve. At first, online templates and do-it-yourself kits seem like a quick, easy and inexpensive solution. Too often, it has expensive consequences for both spouses. Like any template, these agreements may be sufficient for only the specific circumstances for which they were developed. The entire agreement may be invalid in the event of a slight difference with the users’ unique situation, failure to disclose significant assets, or failing to appreciate the entitlements, such as with sometimes complex treatment of pensions, insurance, and inheritances. Even where a separation agreement is drafted well, covers all areas, and properly reflects the intentions of the spouses, there may be false comfort. The court cases are replete with examples of where one spouse seeks to set aside a separation agreement made from an online template or do-it-yourself kit. (See, for example, Vic v Blair; Cramer v. Cramer). In Ontario, section 56(4) of the Family Law Act expressly permits a court to set aside a separation agreement in certain situations. In the case of Emmerson v. Emmerson, the parties wrote a separation agreement using an online template, drafted it quickly and without exchanging sufficient financial information. 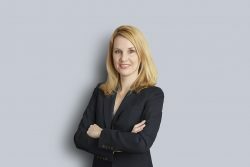 The decision of the Ontario Court of Appeal in Emmerson v. Emmerson illustrates that the quick, easy and inexpensive approach can result in financial hardship and years of complicated litigation. The husband, a financial planner, and the wife, a court reporter, advised each other of their incomes, but the husband had significantly understated his income and failed to disclose a significant business asset. More than a year after they signed the separation agreement, the wife became suspicious about the husband’s actual income being higher than disclosed in the separation agreement. What followed was a lengthy court battle that included court conferences, interim motions, an 11-day trial, and an appeal to Ontario’s Court of Appeal. Seven years after the parties signed their separation agreement, the court declared it invalid and re-calculated child support, spousal support, and division of property. The approach to save time and money led to insufficient financial disclosure, almost a loss of the wife’s legal claims, and her having to compromise retirement savings, and sell the matrimonial home. “As a result of the document being prepared this way, they will probably give up claims that they may have in law which if not claimed, could lead to the loss of property rights, custody of, or access to children, or frequently the loss of a claim to pension benefits. If the individual actually fills in the document themselves, and they or their family lose out on potential benefits, or expose themselves to liabilities, they have no one to blame but themselves for their own mistake.” (R. v. A1 Legal Services & Training Ltd.). Do not use an online template, or ‘do it yourself’ kit, for family law matters. Each spouse must disclose all assets and all debts and other liabilities. Each spouse must understand the nature or consequences of the separation agreement. Each spouse should obtain legal advice before signing any separation agreement, including meeting with a lawyer and discussing all questions so that all rights, entitlements, and obligations are fully understood. Please contact me to discuss your rights and obligations, as well as to negotiate and draft your separation agreement.